It’s true that the sum of money paid for the Southampton centre half was enormous, but we need to give him the chance to prove himself. If we remember back when Rio Ferdinand signed for Man United, many thought that the £30 million-pound transfer fee was far too much, but nevertheless he more than repaid it over his 10 years at United. Furthermore, we don’t speak about the massive transfer fees that Man City paid for Kyle Walker and John Stones because they have performed brilliantly, and therefore we should give Van Dijk an equal opportunity to demonstrate his worth. Furthermore considering Liverpool’s defensive problems, he is most definitely worth the huge sum that’s been paid, and if he performs well for his new club we will not be talking about the money for too long. The Dutchman will also be able to inspire the Liverpool defence, as for example football writer Darren Lewis has stated that ‘With Alderweireld, he goes into the Spurs team and he makes the defence better, before his arrival they were fairly shambolic’. This obviously greatly mirrors the situation at Liverpool, and considering Van Dijk is at a similar level to the Spurs defender, there is every chance that the Dutchman’s involvement will have the same effect. It must also be said that spending £75 million on Van Dijk is sending a message to other clubs in the top 6 that they mean business, and are not afraid to flex their financial muscles. 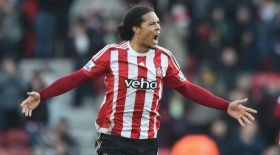 It can be argued however that perhaps Van Dijk has not been at his best for Southampton since the start of the season, which could potentially spill over into his performances for Liverpool. However, this could be purely down to a poor pre-season preparation which can easily be rectified. It must also be said that even though Van Dijk has performed well at Celtic (which is still a big club) the standard of the league is very poor. He also performed well at Southampton but now the spotlight is really on him, and so it remains to be seen as to whether he can handle the price tag and the pressure of being a part of a top 6 Premier League side. Nevertheless he’s obviously got a strong character, and he’s being guided by a better manager, so who is to say that he won’t flourish at his new club? ‘It’s not nice but that is the market. We have to adapt. That’s how it is’. Jürgen Klopp’s views on the massive transfer fee paid is clearly that every club has to acclimate to the times. It’s true that we have to start accepting that these enormous transfer fees will be paid for certain players, granted that they live up their colossal price tags; and if Van Dijk is the player that completes Liverpool’s team then the sum of money paid will certainly be justified. Furthermore with Naby Keita arriving next summer, Liverpool are undoubtedly building a project to make themselves genuine title contenders both domestically and on the European stage once again.